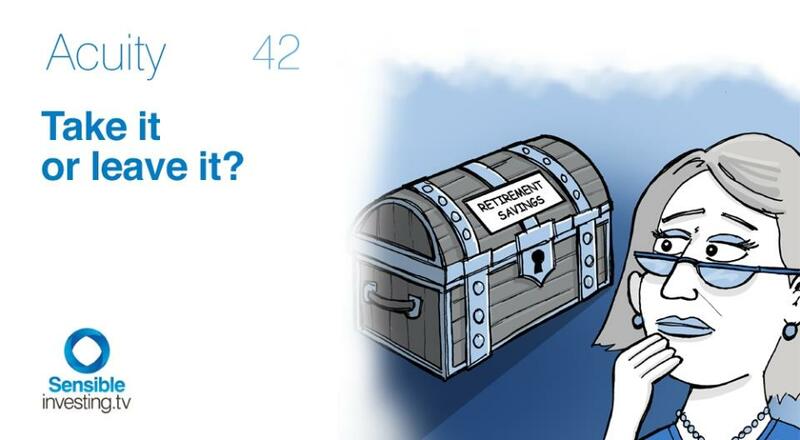 Acuity 42: Take it or leave it? A generation ago, investing for your retirement was fairly simple. You paid your national insurance contributions and took your state pension - and, if you were lucky, benefited from your employer's generously funded final salary pension scheme. Today, things are different. People are living longer and final salary schemes are unsustainable. More and more, it's up to us, as individuals, to save and invest for the day we stop earning money. And we have more choices of what to do when we get there. Do we draw down an annuity from our pension pot in the traditional way, or take a lump sum and use it or reinvest it? What are the long term implications if we do? This issue of Acuity looks at the choices for those facing retirement and shows the effect of taking or leaving income from your pension pot on its long term value.